Cape Egmont Light house at Cape Egmont. Twilight. 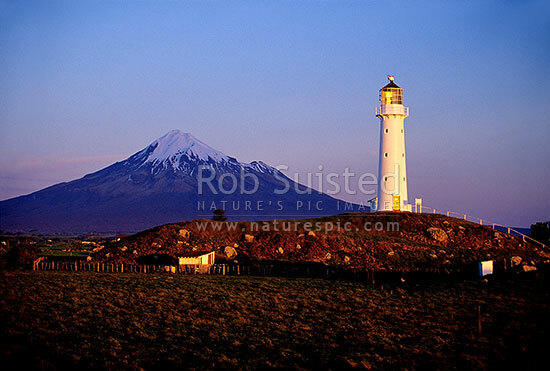 Mount Taranaki, Cape Egmont, Taranaki, South Taranaki District, Taranaki Region, New Zealand (NZ), stock photo.